There is nothing better than crisp mornings, sunny skies and a cozy, cracklin' fire. I'm enjoying all of these, as I share the latest furniture transformations. I spent time this weekend with a paint brush in hand. I love the days when I can just paint - take a piece from start to finish. It's rewarding. I completed several and will share throughout the week. 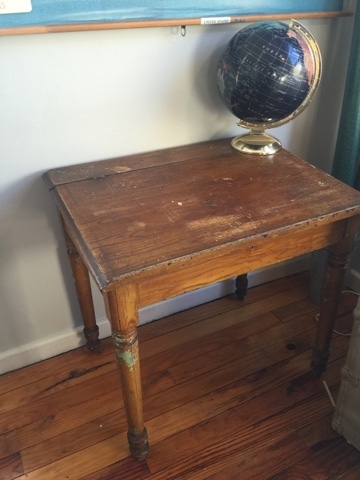 This antique desk is darling. It has signs of being well loved through the years. It sat in the shop. It's my fault. I know better. 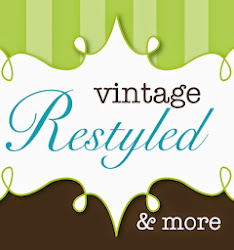 Most items do not sell without a restyle. Sometimes I think, 'this piece will be different, people will love and appreciate the history. But 9 out of 10 times, they do not. Hubby knows this and reminds me every time I pop a piece in the shop in "as found condition." Anyway, it was time to give this baby some love. 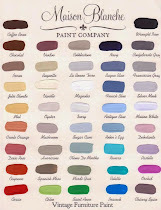 Maison Blanche in Sugar Cane was my color of choice. It's a soft white with a hint of icey blue. Clear wax and a sanding block completed the restyle. 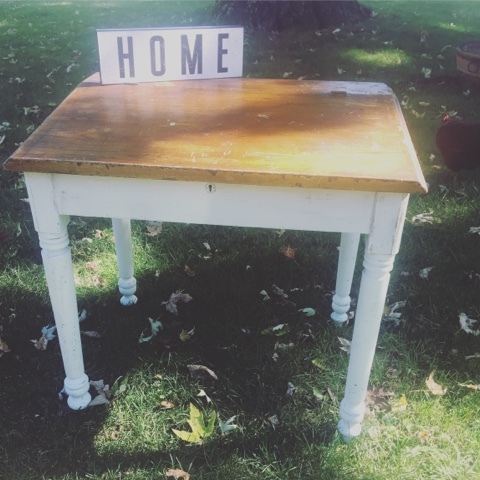 Needless to say, this restyled beauty has found its home the same day it was restyled. Go figure. Since that baby is spoken for, I worked on a few for the shop. Here's a look at the top of another vintage beauty. Just a glimpse for now. 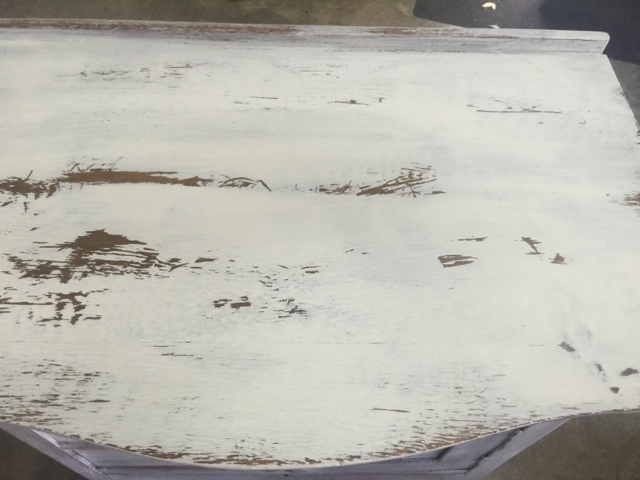 This technique is very similar to milk paint, with chippy goodness. 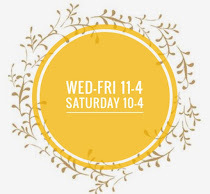 Since we have added Sunday hours, I spend time on Monday and Tuesday bringing in new treasures and restyling the shop. I am off with a loaded truck and a fat mug of coffee.